The Meeting started with a welcome address from the president Mr Johan Stenberg. He presented then the strategic plan of the chamber. A panel debate on how the exchanges can inprove was held, led by Mr Sten Hagberg followed by a mingle with west african food. 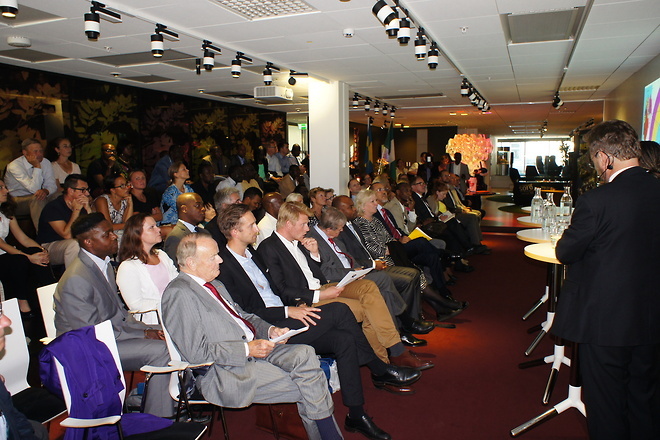 The food was partly offered by the Nigerian embassy in Sweden and partly provided by Kadis Catering, Senegambisk Catering. Wine and Nigerian beer was offered by the nigerian embassy and Bissap juice by the Burkina Faso Consulate and Jus de Gingembre by the Cote d'Ivoire Consulate.